Created along the loamy river flats, the wetlands contain numerous bogs and shallow ponds containing a large variety of water & bog plants. 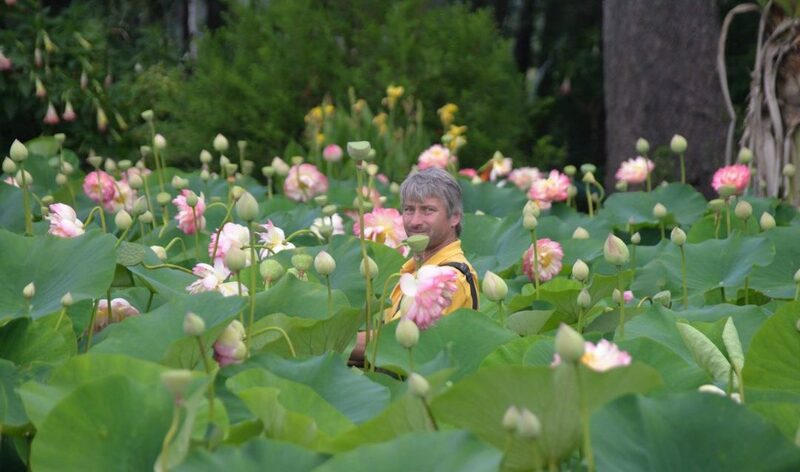 Five of our favourite varieties of lotus flowers are featured here including Mrs Perry Slocum, Carolina Queen, Hindu, Roseam Plena, Green Magic and Crème Lutea. Because the ponds are shallow, the lotus flowers grow to a height of 1.5m, creating a virtual forest of flowers. It’s the best place in the garden for visitors to get very close to the flowers and their perfume. 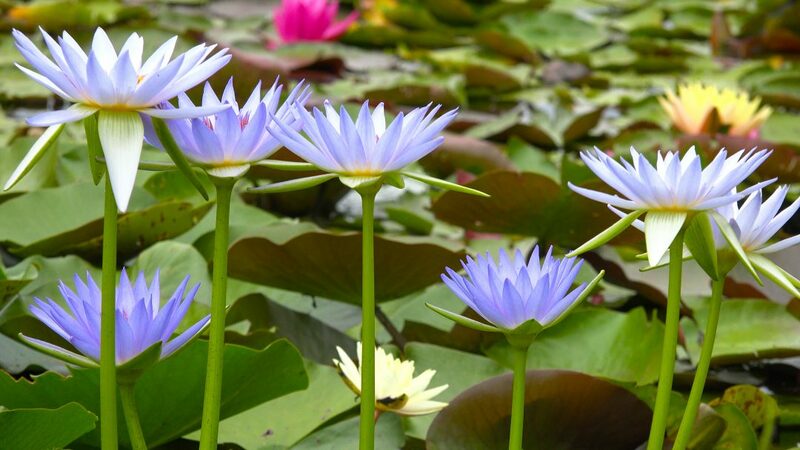 The wetlands also feature the “Indian Blue Lotus” (which is actually a tropical waterlily), along with numerous other beautiful waterlilies. The ponds and bogs are edged with extensive garden beds full of perennial colour including impatiens, sunflowers, salvias, canna lilies, petunias, marigolds and celosias. Another feature is our collection of hibiscus, thalis and papyrus. The wetlands also provide very important habitat for many frogs, insects and invertebrate life that live in the rich ponds. Many of our native animals rely on this created habitat, especially when food is scarce in the natural environment.